Bread and beer share a symbiotic relationship with yeast, a bond that represents one of the oldest forms of biotechnology. However, bakers (and brewers) from long ago did not have access to neatly packaged yeast like we do today, thus they had to capture the wild yeast strains that were floating around in the air. This process of capturing and culturing yeast is what differentiates sourdough from other breads, and what gives a sourdough bread it’s distinctive flavor! More specifically, the slight acidic taste of a sourdough bread is the result of an alcohol byproduct (from the yeast) and lactic acid (from the bacteria lactobacilli). The reason why San Francisco has such a famous and pungent sourdough is that the air in that region contains a high concentration of the wild yeast and bacteria. 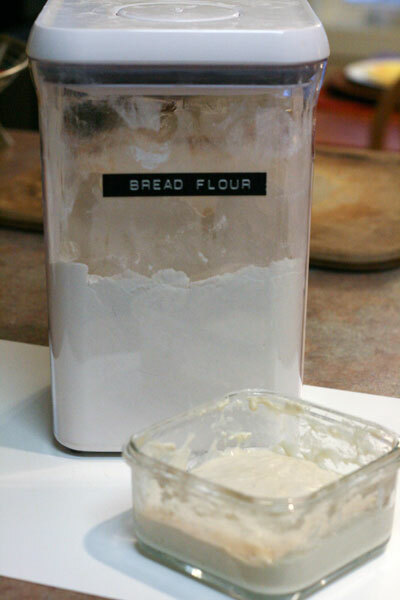 Sourdough yeast is kept alive and thriving through a flour/water medium called a starter (pictured above), which needs to be cared for and “fed” regularly. A well cared for starter can last a lifetime, or several lifetimes. Legend has it that some starters in San Fransisco date back to the Gold Rush, and in Europe there are starters that are centuries old. 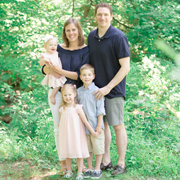 The starter that I use is an infant — a mere six years old. 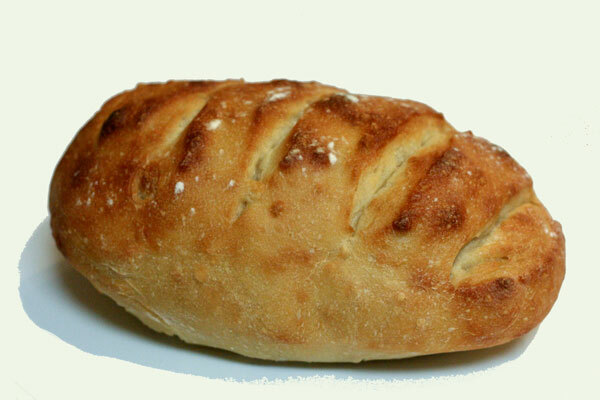 I received it from Chef Matt Finarelli during my artisinal bread baking class last year. There are methods for creating your own starter (directions forthcoming), but it is much easier to get a piece of starter from a generous friend. I typically like to keep about a 1/2 cup of starter alive, which I feed once a week. To feed, I first throw out (or use) half of the starter and then double it by adding 1/4 cup flour and ~1/4 cup water. (Really it should be equal parts flour and water by weight, but I just eyeball it for consistency.) Leave it sit on the counter for a couple of hours and then store it in the fridge. I bet you’re starting to get hungry by this point. Whether you’re cutting a slice to eat alongside lasagna or planning to fill it with hearty chili, it’s worth the wait! Mix ingredients together; the consistency will be a bit more sticky than normal bread dough. Transfer dough to floured board, and knead dough by pulling dough towards you, then pushing down with the heel of your hand. Then turn the dough 90 degrees and repeat. Do this for a few minutes to give the bread some elasticity. Place in lightly oiled bowl, cover tightly (with Saran wrap), and let rise overnight. Mix all ingredients together in a stand mixer. Note: If the dough is too moist, add additional flour. If it’s too dry, add warm water until you achieve the right sticky consistency. 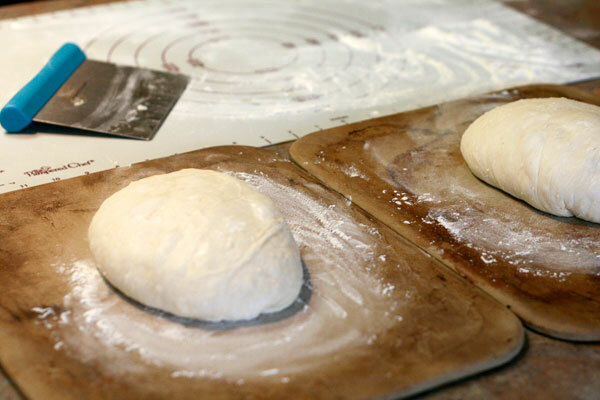 Transfer dough to floured board and knead for a few minutes. Place in lightly oiled bowl and cover tightly; let rise until it doubles in volume (~2 hours). Cut dough and shape into loaves. 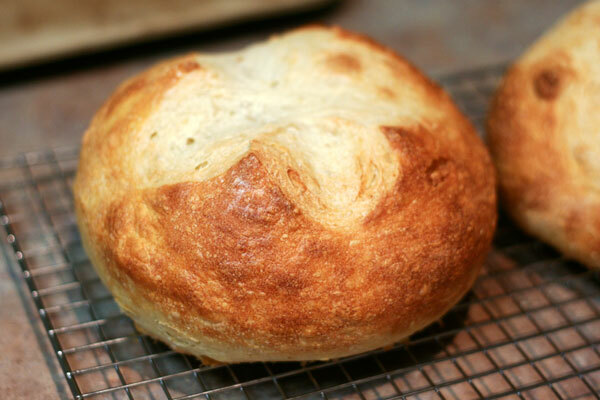 Note: I usually do two large oval loaves or four individual bread bowl loaves. Cover shaped dough with damp towel and let rise for 1 hour. During the final 15 minutes of rising, preheat the oven to 425°F. Brush or spray dough with water; score dough by taking a knife and making 1/2-inch deep diagonal slashes; sprinkle a bit of flour on top. Bake for 25 to 30 minutes, spraying with more water halfway through, until bread is nicely browned. Remove from oven and place bread on a wire cooling rack. 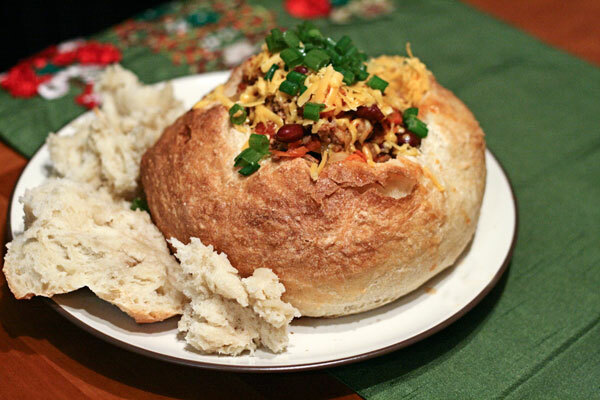 Slice, or fill with your favorite soup, and enjoy! the bread looks wonderful…but i’m wondering, if you don’t have a generous friend with a premade starter, do you have any suggestions where you could look to find one? stores, etc? thank you! 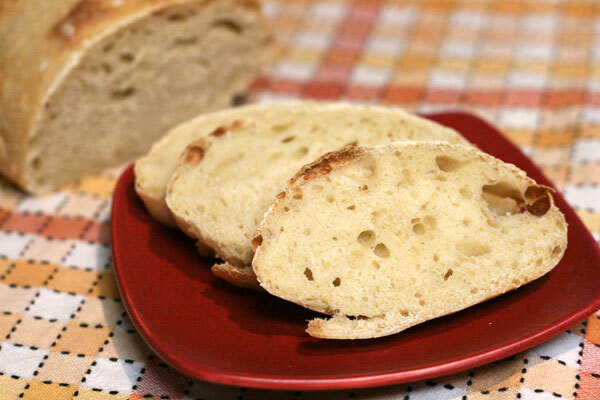 You have two options: you can either make your own or purchase one like this from King Arthur: http://www.kingarthurflour.com/shop/items/classic-fresh-sourdough-starter-1-oz. Hope that helps. Happy baking! I am so proud of my bread-baker son! We really miss the yummy German breads we feasted on last summer but this would be an acceptable substitute! Wanna send us some?! You got it! We haven’t bought bread from the store in over six months.